Marg Hyland, founder and head designer of Pegeen® which sells exclusively online as Pegeen.com, has just introduced their latest styles for the Heavenly White Collection by Pegeen. These new styles set of the beginning of the 2017 Season with their 35th Anniversary Celebration. 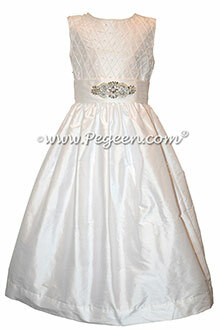 Each style is totally encrusted with some of the latest in bling as that seems to be the newest trend in Communion Dresses. 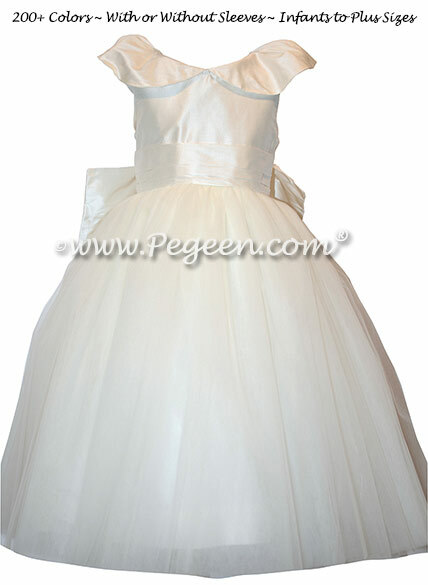 These dresses are additions to the already popular Heavenly White Collection and will be available for purchase November 10th which is important because Pegeen only allows one of each style of each dress per church so that a girl has exclusivity. 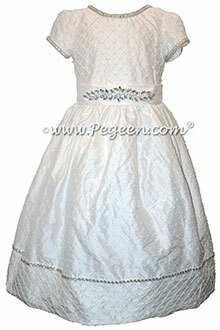 These latest communion dresses are available from size 6 through Plus Sizes and each dress is as pretty for smaller sizes as well as Plus Sized First Communion Dresses. 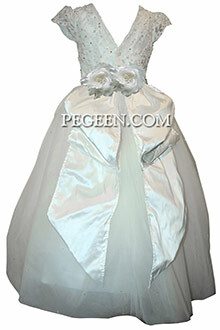 Place your order early as possible to reserve your dress. Please indicate communion date, time and church on checkout.